The iPhone 6 and the iPhone 6 Plus are Apple's thinnest iPhones yet at 6.9 and 7.1mm, respectively, and these ultra thin devices have spawned a range of super thin cases that aim to offer scratch protection without adding bulk. Of the dozens of featherweight cases on the market, the Scarf case from California case maker Totallee is one of the thinnest you can buy, measuring in at 0.35mm, and it's affordable, at $14.99. We went hands-on with Totallee's Scarf case for the iPhone 6 Plus and you can see what we thought of it in both the quick video review below and our longer full-length review. At approximately the thickness of a fingernail, the Scarf is designed not to be noticed -- its primary goal is to blend in with your phone and offer unobtrusive protection. It comes in colors that are designed to match the iPhone casing -- black, gold, white, and light gray. Light gray is a brand new addition to the Scarf lineup, and was conceived to be a better match for the Space Gray iPhone than the previously available black color. The Scarf is made of polypropylene, a lightweight thermoplastic polymer. It is flexible and bendable, so if you crease it forcefully, it can be damaged. The case's flexibility lets it slip easily onto an iPhone. Like most iPhone 6 and 6 Plus cases, the Scarf has cutouts for the rear camera, the power button, the volume button, and the mute switch. It covers the top of the phone, but leaves the bottom open for access to the Lightning port, speaker holes, and headphone port. Since there are cutouts for the mute switch and volume buttons rather than a single larger opening, the Scarf can make it slightly more difficult to mute and unmute the phone. It is not any harder to access the power button or the volume button though, since those require just a press instead of a switching action. The Scarf is translucent, so it allows the design elements of the iPhone to show through, and there's no branding, which is another bonus. With the gold, white, and light gray cases, you can clearly see the antenna bands of the iPhone, the iPhone markings, and the iconic Apple logo. With the silver and light gray cases especially, the Scarf is almost undetectable on a phone from a distance. As thin as it is, the Scarf does not offer drop protection. There's no cushioning to save your phone if it falls from a distance, and because the sides of the case don't come up near the screen with a lip like many thicker iPhone cases, it's also not going to protect the display in any way when it's placed face down on a surface. What it is useful for is protecting the iPhone from minor scratches and every day wear and tear that might occur when carrying the iPhone around in a pocket or a bag. Combined with a screen protector, your device is going to be relatively safe from scratches, dings, and other cosmetic damage. At 0.35mm, the Totallee Scarf is not thick enough to offer protection for the protruding rear camera of the iPhone 6 and 6 Plus when placed on a hard surface, so there's going to be some wobble. Measured with a caliper, the iPhone 6 camera protrudes just over 0.75mm from the body, so the Scarf would need to be twice as thick to make the phone flush with the camera. In addition to offering scratch protection, the Scarf adds a small bit of extra grip to the iPhone 6 and 6 Plus, making them easier to hold onto. The case feels like a thick plastic, but with some slight texturizing that feels pleasant in the hand (for reference, it feels similar to the plastic of a gallon milk jug).The added grip is nowhere near as much as the Apple-branded silicone iPhone 6 case, but it's enough that it doesn't slip out of a hand quite as easily. The Scarf is a case for those of you who are looking for scratch protection to keep your iPhone pristine, but without any added bulk. It seems almost criminal to add a case to one of the new iPhones due to their extreme thinness and feel in the hand, but the Scarf adds so little extra thickness that it's a nice compromise for people who want the look of an unfettered iPhone with some of the protection of a case. The Scarf can be purchased from the Totallee website for $14.99. It's also available on Amazon at the slightly cheaper price of $12.99. This looks like a good case. I don't have an iPhone 6, but the reviews for the 5/5s version look good. I'll check it out. I doubt this should be described as a case. It's more like a scratch shield...a cover at best. I have owned the Scarf for a few weeks now and like it a lot. I have been an advocate for using you iPhone without any case on. Most cases are just too hideous and covering up my iPhone with something ugly wasn't something I was willing to do. I enjoyed the design of the iPhone too much. But when I got the new iPhone 6 I just felt that I needed something to give some extra grip. I love the iPhone 6 , but boy can it be slippery. So for me it was all about getting something very minimal that makes my iPhone more grippy. Got the Scarf and have been loving it. It's well made. 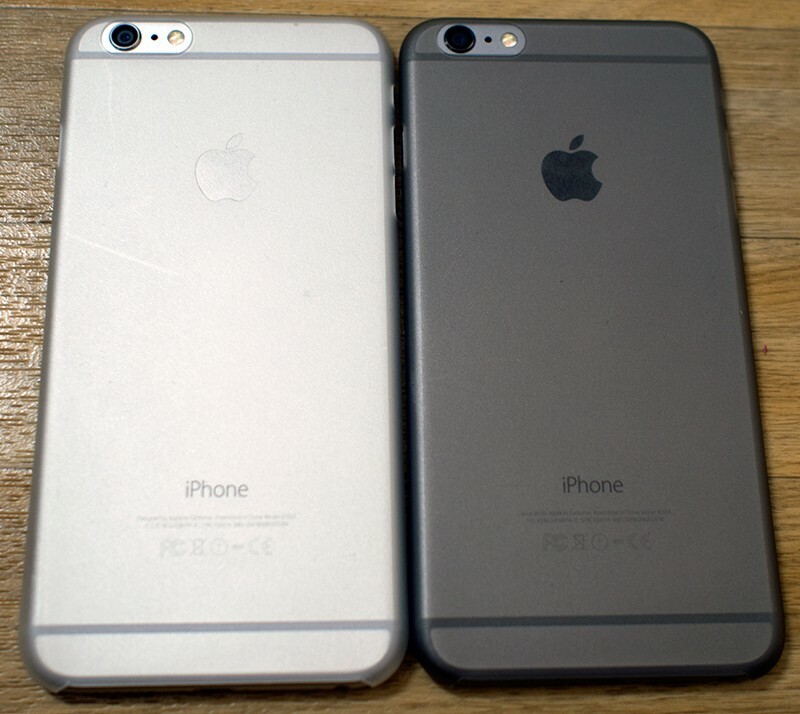 I use the white case, which is actually a frosted semi-transparent case and looks lovely on my space grey iPhone 6. Thinking of getting the light grey one for an even more "invisible" look. My favorite part is that I can still fully enjoy the design of the iPhone. Let us know if you have questions about the Scarf and we'll try to answer. I've been using one for a couple weeks now -- nice scratch protection with no bulk. I'm thinking about getting this, I was wondering does the case still allow for the curve feeling of the edges of the screen? I had the leather case for mine and I've too it off but since I wear jeans and have the gold version it's best if I have a cover for the antenna bands. I really want to keep that curve feeling when swiping though. The case is very thin, much thinner than the leather case. 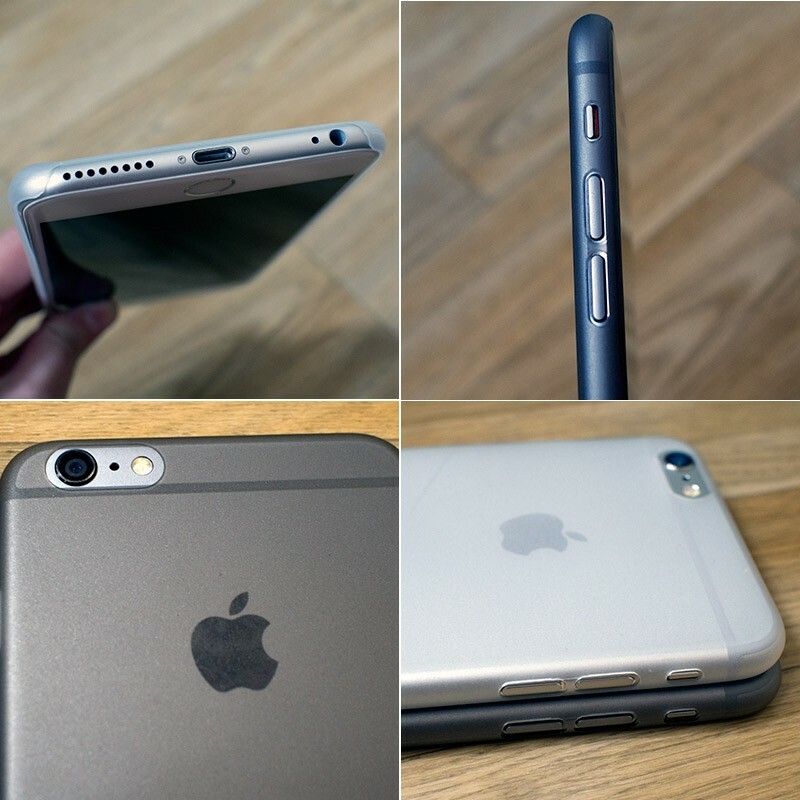 It only grabs the iPhone on the edges and does not cover up the curved glass. It pretty much covers the aluminum part and only extends a fraction of mm beyond that. It's very precisely made. It's amazing how firmly it stays on considering how thin and non-interfering it is. So, yes, you will retain the feel of the curved screen you are looking for. I've had the case for some months now and it's by far my favorite. Really well made.